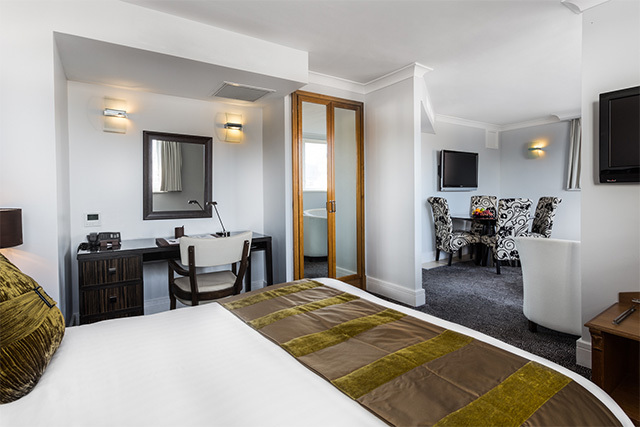 Our Junior Suites effectively have two open plan rooms, incorporating a comfortable lounge area with a 42” wall mounted TV and drinks cabinet opening off a small hall. The bedroom, with either a king or queen size bed, opens off to the lounge. 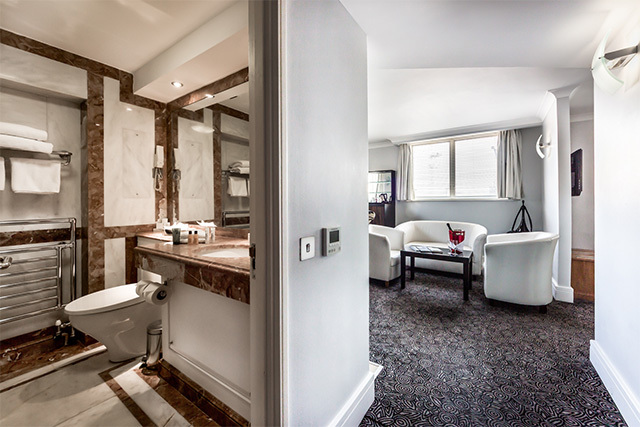 Bathrooms are opulent and lined in terracotta toned marble. 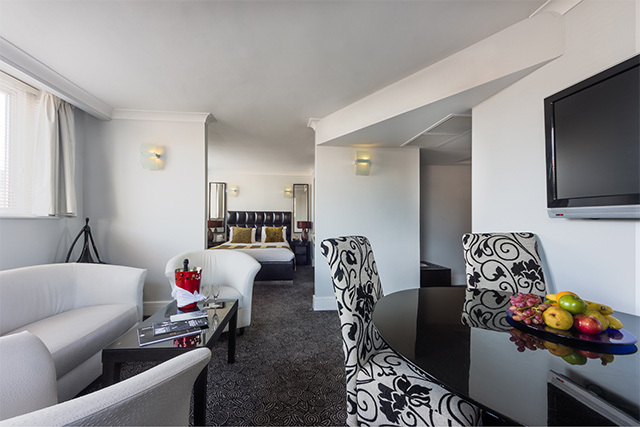 All the Junior Suites can be interconnected with the room opposite to create a private two room suite.